Allsopp and Allsopp are thrilled to present this fantastic four bedroom family detached home which has been extended and modernised to the highest of standards. 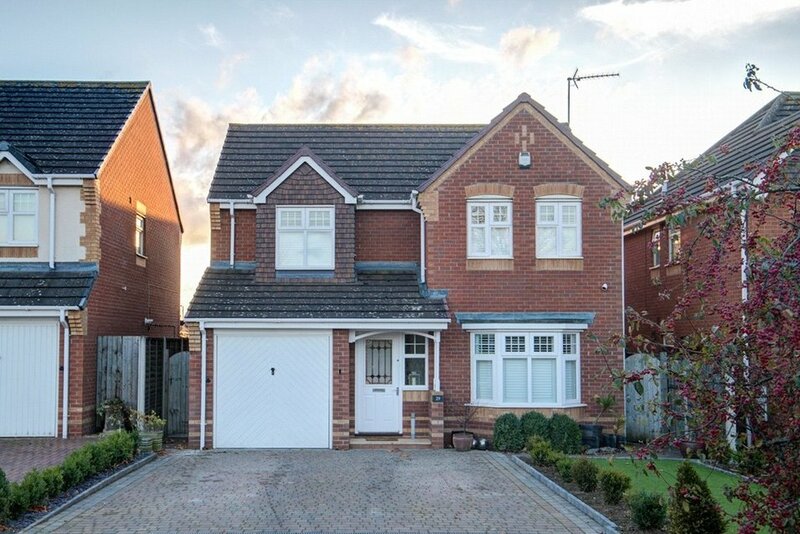 Sitting in a clutch of like - high end detached houses, immediate viewing is required to be in with a chance of securing this highly desirable family home. The property is within easy reach of a vast range of shops and amenities with both Leamington and Warwick town centres nearby. Transport links are plentiful with regular bus services within walking distance of the property, Leamington train station is 5 mins away by car (10 mins by bicycle) which is connected to London Marylebone (1h30m) and Birmingham (30 mins). The property briefly comprises of the following; Driveway parking for four cars, Entrance Hall, Living Room, Huge Kitchen Diner, Family Snug, Utility Room, Downstairs WC, Four Bedroom, Master with En-suite, Family Bathroom and a Landscaped Rear Garden. Living Room : 6.1m x 2.0m (20'2" x 6'7"), A substantial family living room, having been extended to create further space and benefitting from lovely soft carpet underfoot. Brightly lit by both natural light and significant interior lighting and finished in a lovely soft modern style. Kitchen/ Dining Room : , What an incredible family kitchen. Benefitting from the considerable downstairs extension and flooded with natural light from the many windows including three Velux above. This massive family kitchen contains a multitude of stunning modern full height units including integrated double ovens/ microwave, five ring gas hob burner, stunning aluminium three panel extractor, stylish oak island with Belfast sink and breakfast bar with four stools. There is space for a considerable dining table within the room. Family Room : 4.0m x 3.0m (13'1" x 9'9"), Another substantial living room, this time at the rear of the property. benefiting from lovely soft carpet under foot and brightly lit with natural light which floods in via the patio doors which open out into the garden. This room is the ideal place to relax as a family or perhaps someone to place the kids whilst you unwind elswhere. The room could also be reconfigured to suit almost any purpose! Utility Room : 2.4m x 2.3m (7'9" x 7'7"), A highly useful additional to any family property; containing space for all the noisy white goods you might expect, a separate sink and allowing for internal access to the garage. Downstairs Cloakroom : , A stylish downstairs cloakroom with WC and pedestal sink. Master Bedroom : 3.7m x 3.4m (12'2" x 11'), A large and rather lovely master bedroom, with room for a super king size bed and various other occasional furniture. The room further benefits from substantial and stylish fitted wardrobes, a bay window which provides lovely natural light and of course an En-suite Shower Room. 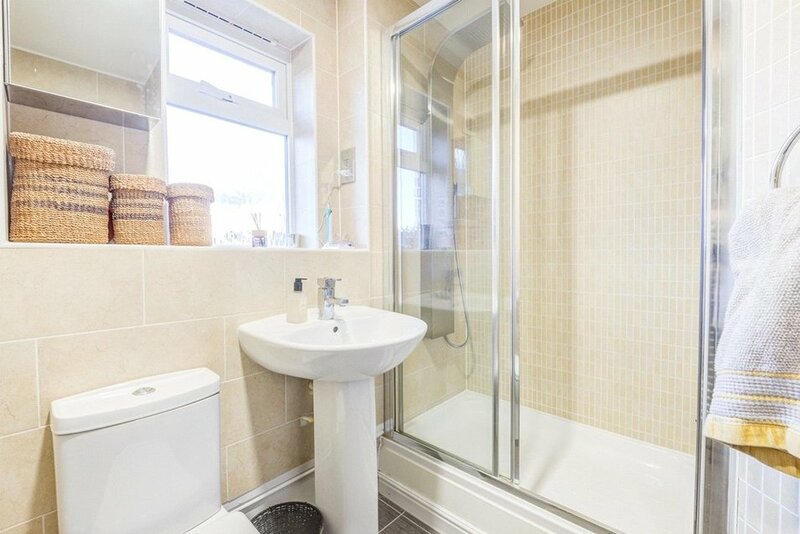 En-suite Shower Room : , Being fully tiled to all floors and walls, well lit by natural light and including a substantial double shower tray, pedestal sink and WC. Bedroom Two : 5.2m x 3.2m (17'1" x 10'4"), A considerable double bedroom as evidenced by the substantial furniture currently contained within it. Benefitting from the two storey extension this is a large space ideal for use as the second principle bedroom within the home. Bedroom Three : 3.6m x 2.2m (11'11" x 7'3"), Another great sized double bedroom, with a modern finish and more than enough space for all the occasional furniture you could want. The room also has built in wardrobes. Bedroom Four/ Study : 3.2m x 2.4m (10'4" x 7'10"), The smallest of the four bedrooms, but still a great size and would make an ideal childs bedroom or home office. Family Bathroom : , Fully tiled to all the walls and floor the room benefits from a bath with tiled side, pedestal wash basin and WC. A well-lit, well sized family bathroom. Garage : , The front of the garage is a useful garage store whilst the back half has been commandeered to provide the very handy utility area. Front & Rear Garden : , Recently landscaped, this stunning low maintenance garden with very high spec artificial grass and a stunning patio area. The garden itself is bordered by lovely raised beds constructed of oak sleepers. There is side access to the property. The front garden also benefits from landscaping.